Byers beware! 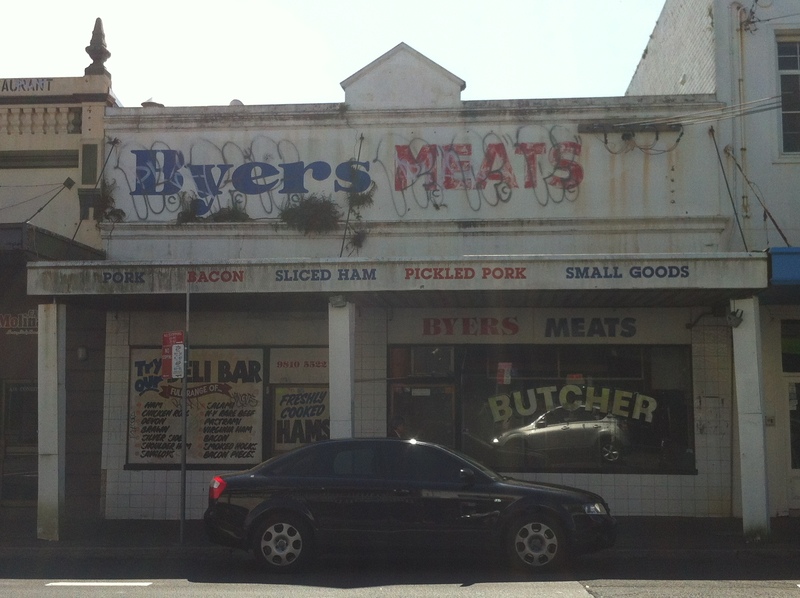 At least, anyone with the intention of buying meat from this long-defunct butchery along Darling Street, Rozelle. What started life as a bootmaker’s shop came into possession of butcher Hugh Byers in 1918, who hawked dead animals from this location while leasing out the shop next door, which he also owned. 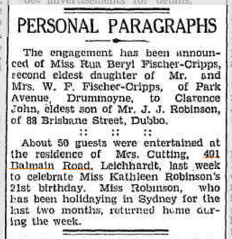 This tradition carried on for the next 87 years, until the Byers family sold up to Balmain Leagues in 2005. 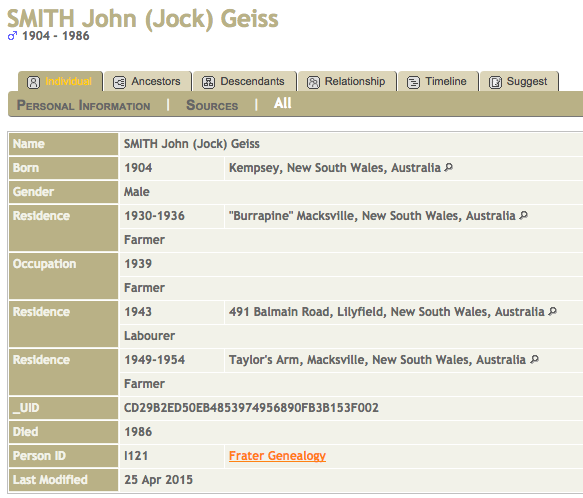 Balmain Leagues…doesn’t that ring a bell? 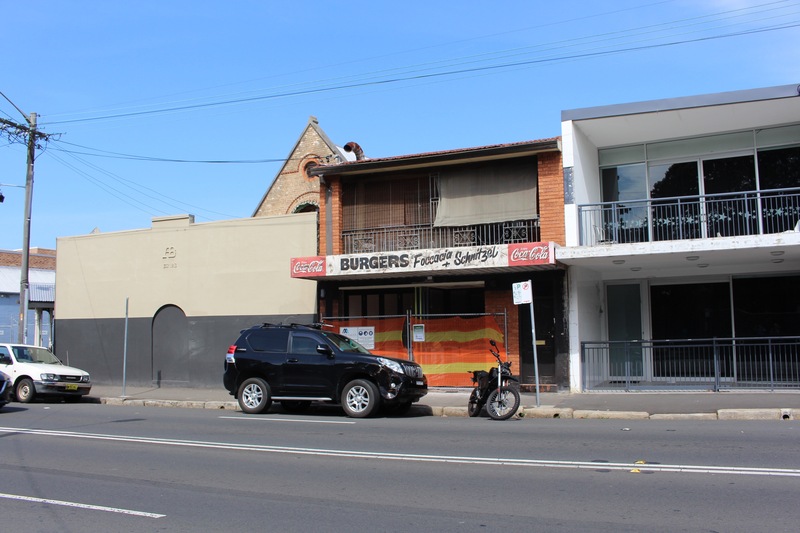 Anyone familiar with the surrounding area and an interest in this sort of thing (all three of you) would have noticed the decaying Balmain Leagues Club on Victoria Road. If you don’t know it, don’t worry – we’ll take a closer look soon. 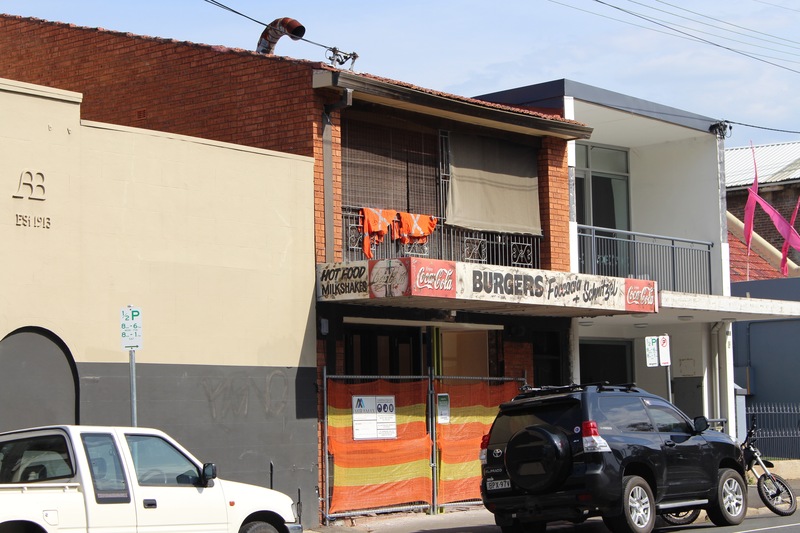 The impending development of that site will include the Byers building as well as a fair few others along Darling Street when they finally get around to it. 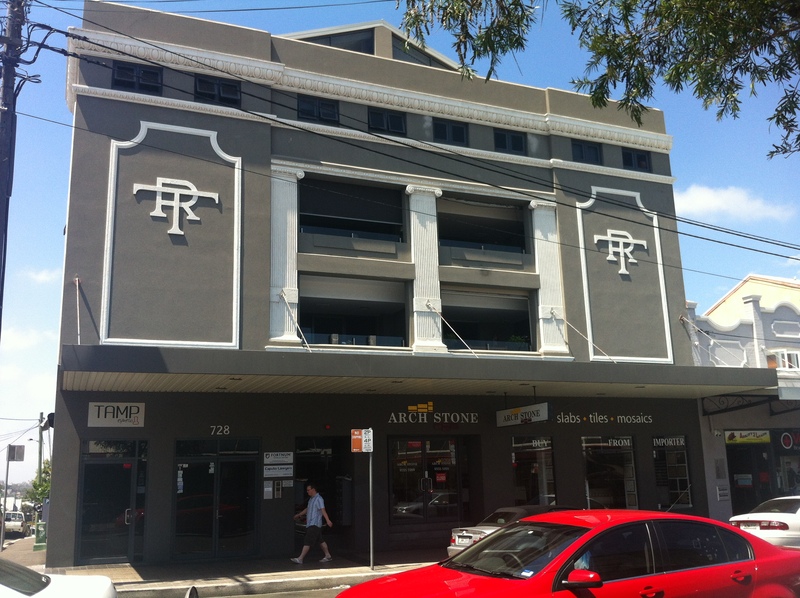 Unless of course it turns into another CBD Metro debacle, which left Rozelle with some mighty blue balls. 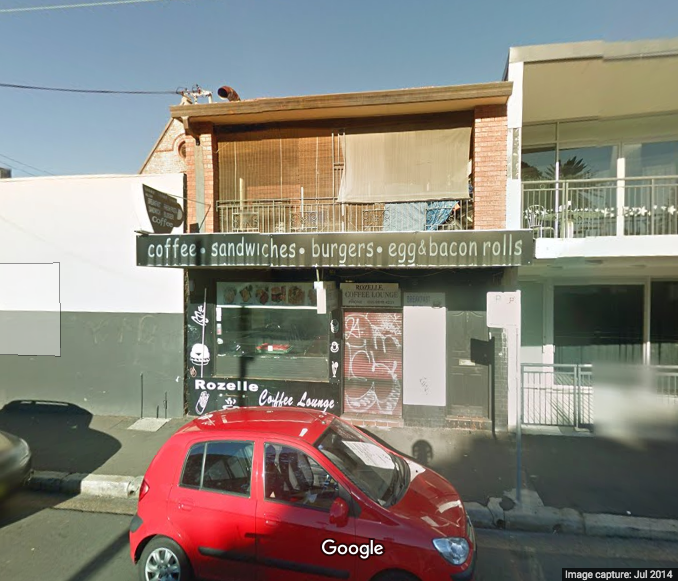 Rozelle’s an area renowned for several reasons: it’s the gateway to Balmain, there are plenty of former mental patients roaming the streets, and it plays host each weekend to fantastic markets. 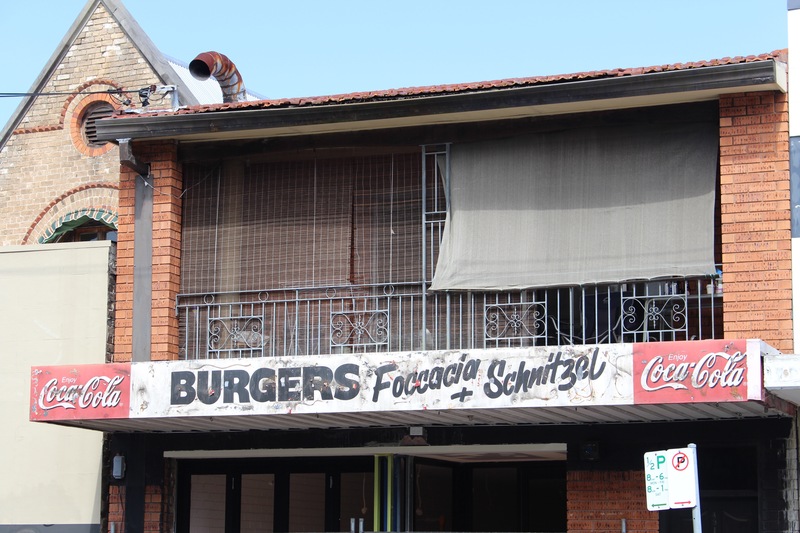 Darling Street is peppered with great restaurants and op shops, but since the suburb isn’t as working class as it once was, not all of these are able to stay afloat. 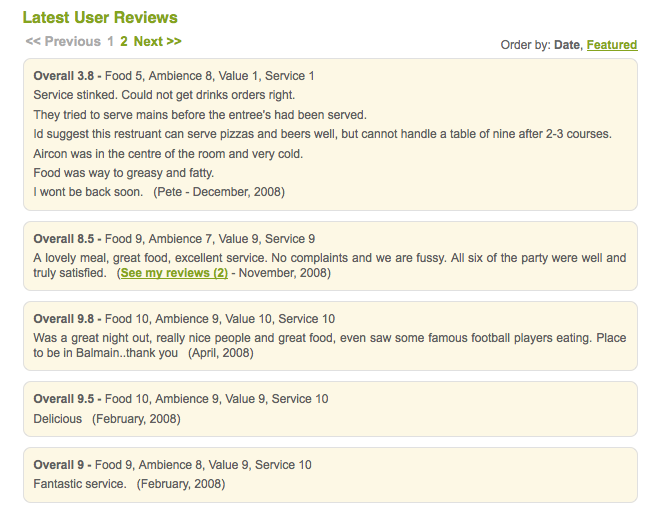 Case in point: La Bettola, an Italian seafood restaurant. The place gets big points for having that big fish mounted above the building, and I’d like to think he fell off on the day they closed their doors for good. Why did it close? Gee, that fellow at the top wasn’t very happy, was he? Perhaps they closed in November 2008 and he just didn’t realise. 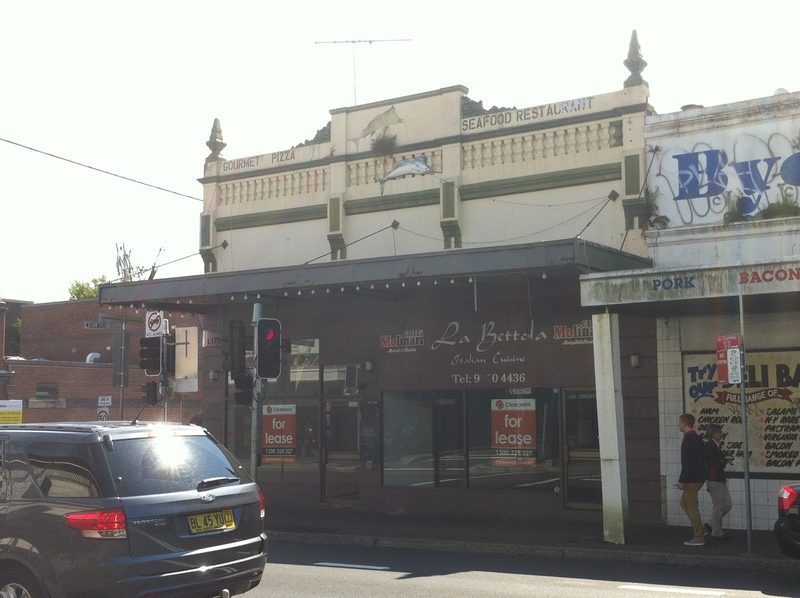 Prior to its life as La Bettola, this was a pub dating back to the 1920s. 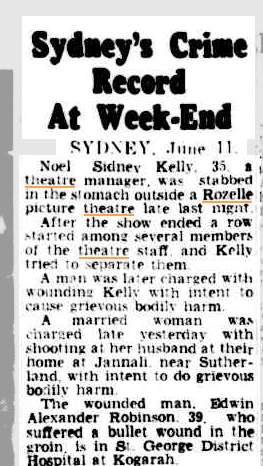 Rozelle’s pub scene dwindled once the area became less industrial – with a lack of workers needing to quench their thirst at the end of a hard day, the business dried up, so to speak. 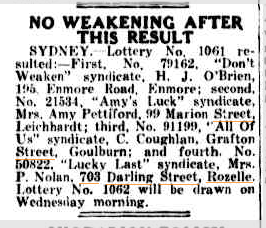 One other interesting footnote from the life of this building: in 1944, a time when lotto winner addresses were still made public much to the delight of extortionists everywhere, Mrs. P. Nolan and her aptly named “Lucky Last” lottery syndicate won fourth prize in the week’s lotto draw. With foresight like that, you think she would have done better.